How are you doing on each assessment? Shows chapters’ name including all objectives. Hover on the course components to check your progress in them. 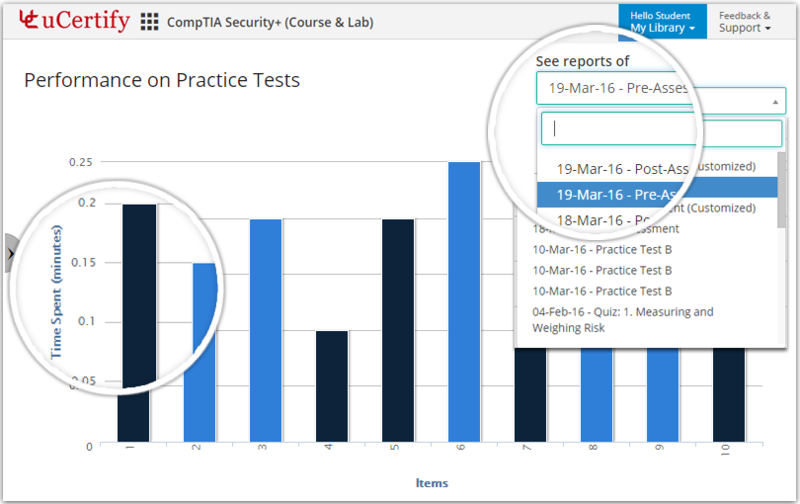 Gauge students’ performance by test history and performance analytics. 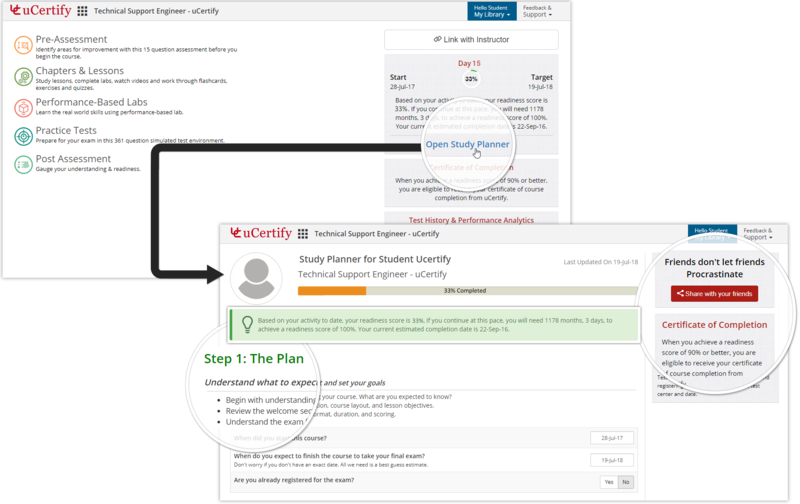 Manage students’ preparation for the certification exam with study planner. 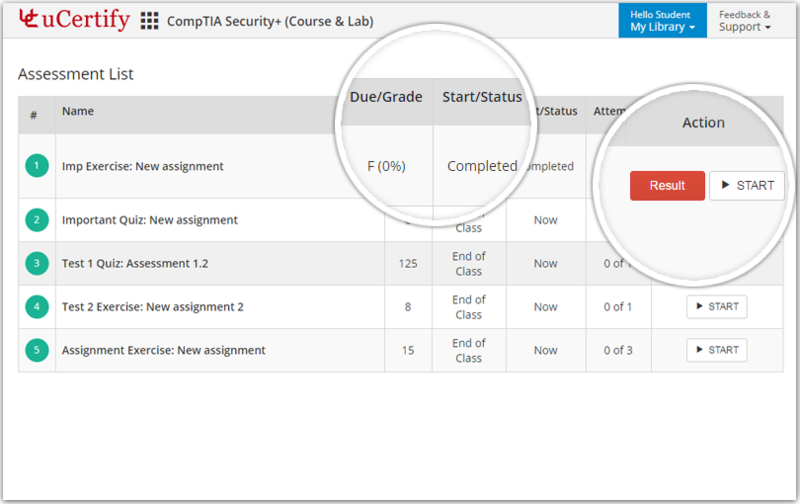 You can check your readiness score and time required to complete the course.